In the top 10 one night of music and entertainment can not certainly miss. 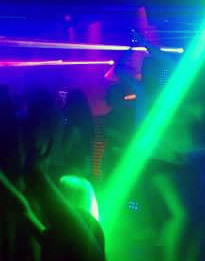 There are several tourist areas on the island with discos and bars open until late at night. 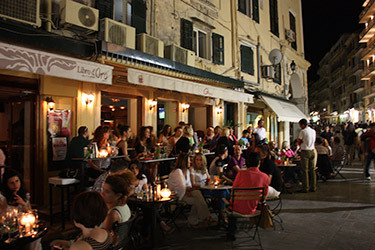 In Corfu town there are several areas with pubs to have a beer or a cocktail with live music. The Esplanade is an area that has several pubs always full of young people, then there are some more romantic pubs like the one inside the old fortress. Finally there are more commercial areas such as the road that leads from Corfu to Gouvia, where there are also disco clubs. Apart from Corfu town there are several resorts where it is easy to stay out late jumping from one pub to another one among dozens of tourist attractions and where supermarkets and souvenir shops are open from early morning until late at night. In these resorts, among which Kavos, Ipsos, Dasia and Sidari are the most famous, taverns and shops alternate with pubs and clubs where the beer flows freely and where you can enjoy for hours. The best feature of many discos is the free access, paying only the drinks. Finally we recommend to park in the outlying areas of the town in order to avoid the problem of the parking, while, for who do not own a vehicle, it is always easy and convenient to choose to move by taxi.